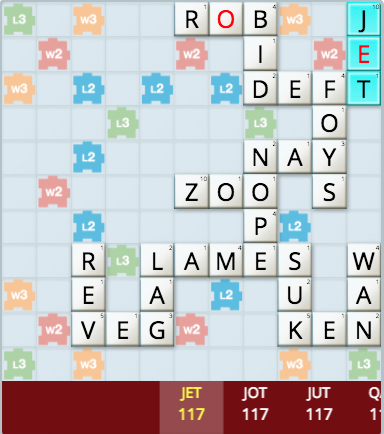 Upload a screenshot to see the highest scoring words, or type your rack tiles into the cheat below and press Go! 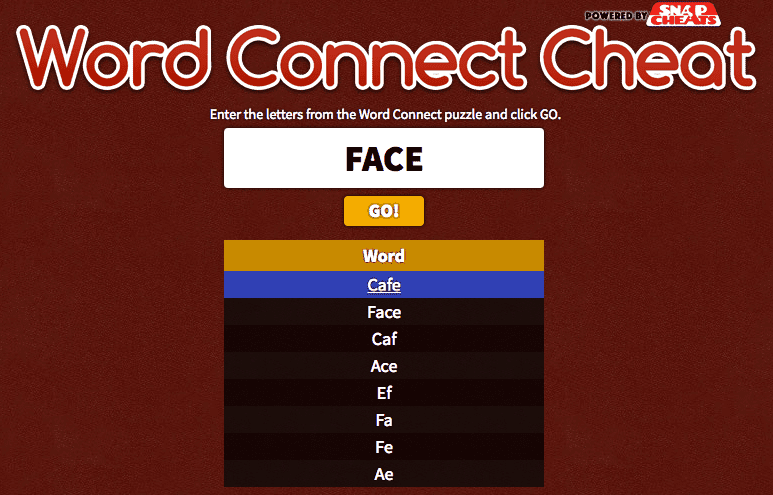 Word Cookies is a polished game where you combine a handful of letters into several words. Our answer guide covers every level of the game and includes a dictionary lookup to help you find extra words beyond the expected answers. Wordscapes is what you get if you cross Word Cookies with crossword puzzles, and it's really neat. 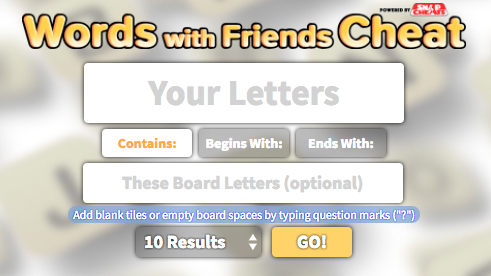 Word Chums is a scrabble game with lots of customizability and a fantastic offline mode. It is among our favorite scrabble-alikes, and it should be installed on every phone. 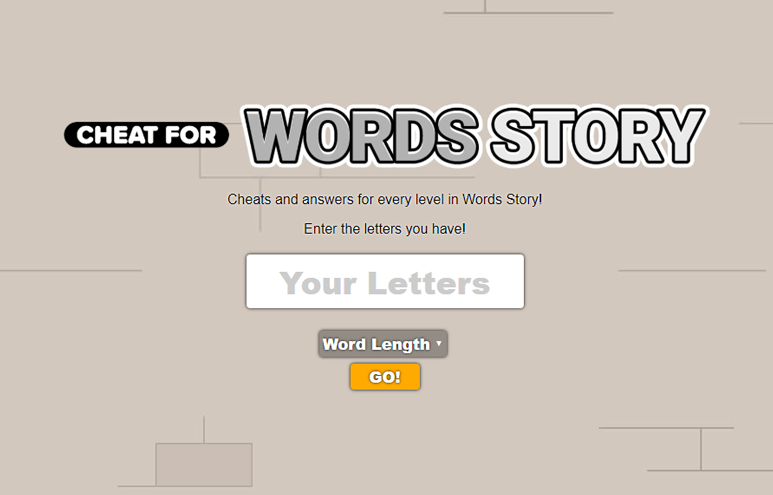 Words Story is an adventure game where you break out of jail by forming words, among other things. 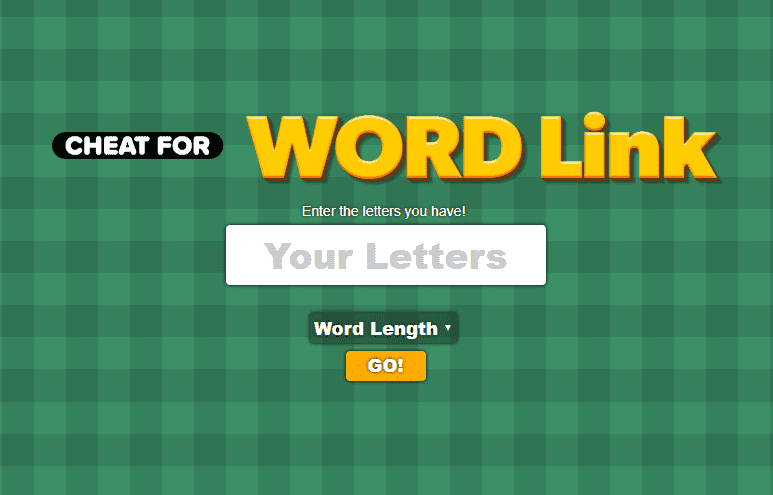 Word Link is a Word Cookies style game with a fun theme and a minigame. 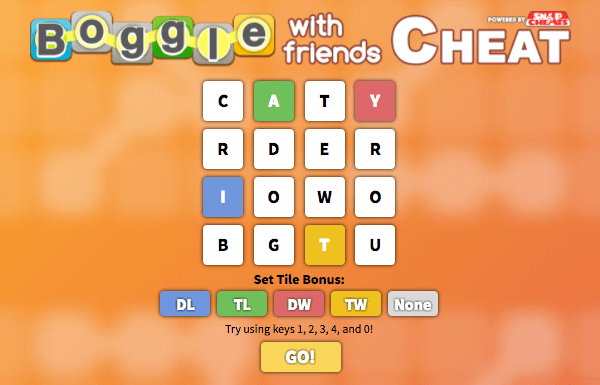 Word Whizzle and Word Whizzle Search are boggle style games with themed levels and a clean look. Very popular, and very fun. Our answer guide is spoiler-free like all of our cheats, allowing you to get yourself unstuck from the linear progression without ruining the entire puzzle for yourself. Word Connect is a clone of Word Cookies, and it's a very popular one. If you simply can't get enough of this kind of game, Word Connect is a great way to keep playing. 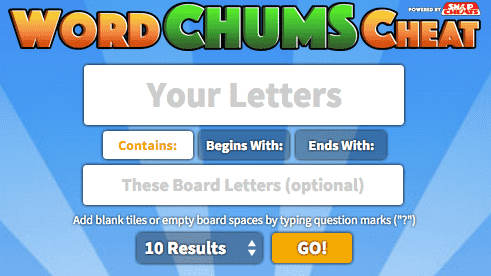 Our answer guide for this game uses our popular word finder engine to maximize the answers you can put into each level. Pictoword is a very clever riddle game where you combine two images to form a common word. If you liked What's the Lyric and What's the Flick, you'll love Pictoword. The most popular scrabble game for phones and tablets, Words With Friends has remained king for years and years. Likewise, we were the first and still the best word finder for the game going back to the very early days of smartphones. You can use our cheat online, or take us with you on the go with advanced auto screenshot parsing available in our apps Word Breaker and Snap Cheats. It took a long time for Boggle to come to your phone, but it was worth the wait. 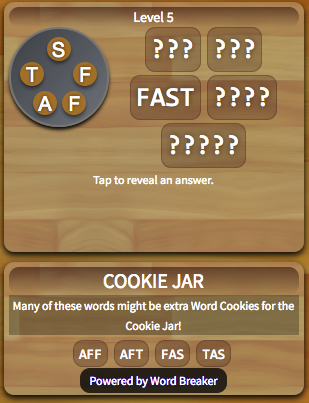 A boggle solver was one of our very first projects, and we've carried that expertise to our cheat website and apps. Unlike other boggle solvers, ours is incredibly easy to use and faster than you care to imagine. If you think that's dirty, you should try the iPhone version that can instantly read screenshots of the game, or the android version that draws a path for you to follow right on top of the game. If you can't tell, we're really proud of this one. The name you trust, Scrabble is a great download. Traditional rules, that original board layout, and a ton of different dictionary options make this app as close to the real thing as you can get. Our word finder is built on our world-renowned Word Breaker algorithm and tailored to the dictionary and scoring rules of this game. Wordfeud is amazing. It is one of the most solid scrabble experiences you can have, and it runs as smooth as silk on every device it can be played on. It's very battery-efficient and has the best internetional multi-language support of all the scrabble-alikes. Our word finder is built on our world-renowned Word Breaker algorithm and tailored to the dictionary and scoring rules of this game. The first and still the best! Word Breaker supports multple scrabble games with accurate scoring. The app versions support multiple languages, and you can even import screenshots directly into the solver for many supported games. Word Breaker has been used by people all over the world, often for games it was never even intended for, and in at least one case to teach English vocabularity in school. WordCookies cross is BitMangos version of a crossword puzzle game, and it's really neat. Word Crossy is another spin off of the popular crossword puzzle style word find games.